Swap your traditional oatmeal for barley in this heart-healthy, fiber-rich breakfast barley. 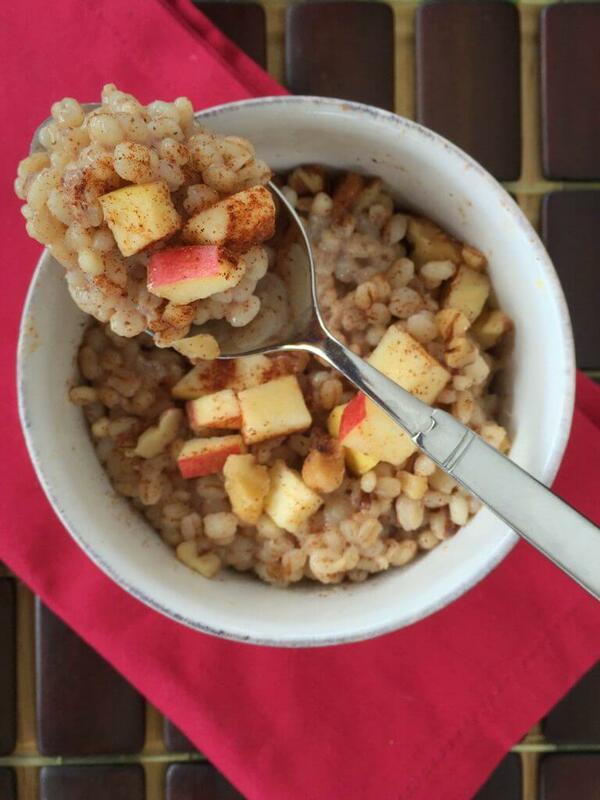 This cinnamon and apple hot cereal is a welcome morning meal on a cold day. Because this barley recipe is so versatile. Essentially, if you can follow the directions on the box to cook barley then you can create any flavor combo you desire. I love pairing apples and cinnamon together but you could easily adapt this fiber-rich recipe to use sweet summer berries, peanut butter and bananas, or even make it savory by stirring in tomatoes and basil and topping with a poached egg. Have you ever tried barley for breakfast? 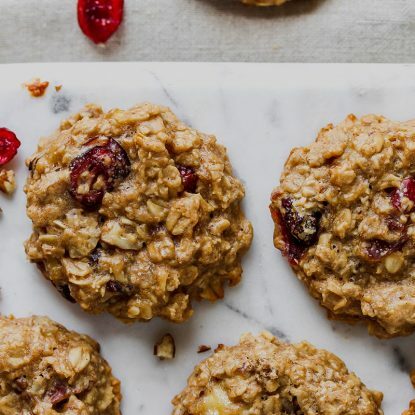 If not, step outside your comfort zone and try this whole grain recipe one morning. Have we connected on social media? If not, make sure to follow me on Facebook, Pinterest, YouTube and Twitter so we can keep the conversation going. Also, leave your social links in the comments so I can connect with you! Bring 3 cups water to a boil in a medium saucepan over high heat. Add barley, bring water to a boil, and then reduce heat to low. Cover and cook 35 to 40 minutes or until most of liquid is absorbed. Stir in walnuts, brown sugar, cinnamon, and nutmeg. Add ½ cup milk, stirring until mixture is creamy, barley is tender and most of the liquid is absorbed. 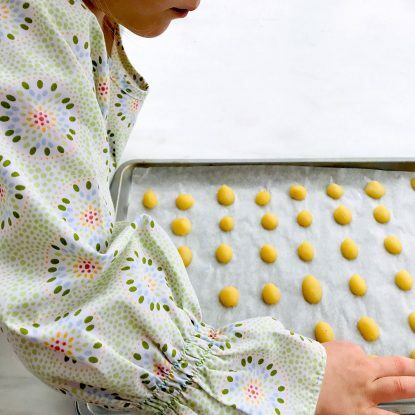 Add an additional ½ cup milk, if necessary, to reach desired consistency. Divide barley evenly among 3 bowls. Top each bowl with apples. Keep leftover barley stored in an airtight container in the refrigerator up to 2 days. Reheat in the microwave or on the stovetop by stirring in 2 tablespoons of milk then heating. Thank you! Definitely give it a try! This looks SO good! 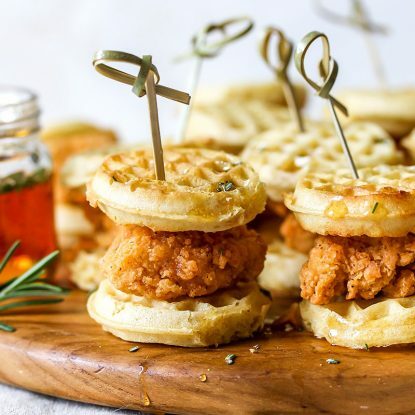 I haven’t had breakfast yet and I think this recipe is calling my name! Pinning. Fantastic! It’s a great one! Barley for breakfast- I love it! Great way for me to change it up from my usual oats! So clever! I would have never thought to use Barley for a breakfast meal! Thanks! Give it a try–it’s relish! Yum – I have some extra farro in my pantry – gonna to use it in this recipe! 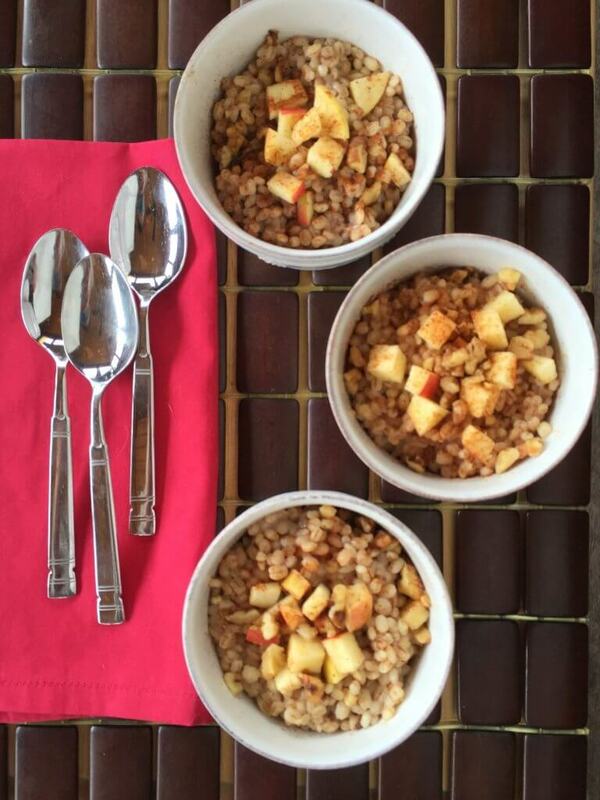 Good idea to try with farro-yum! 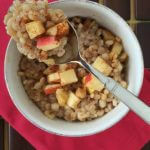 Love the idea of using barley in place as a porridge base; I bet the nuttiness of the grain pairs nicely with the apples and walnuts. What do you make? I’m always looking for new ideas!! My family and I did not like this. I was trying to find something healthier to eat in the am. I am not a fan of oatmeal so I was trying to find something else. It smells good. I thought after I put the apple in it might not be so bland – no. I won’t throw it out, I will try it again. I’m so sorry to hear this. If you aren’t a fan of oatmeal then it is likely that you wouldn’t care for barley either.